Throughout the month of May, Dogwoof are celebrating the best in UK and World documentary film making by teaming up with the Notting Hill Gate Picturehouse and Stratford East Picturehouse to present a tantalising season of docs they call: DOGWOOF DOCS. Four films will be presented over one month and include a director Q&A and exclusive preview ahead of the general release. 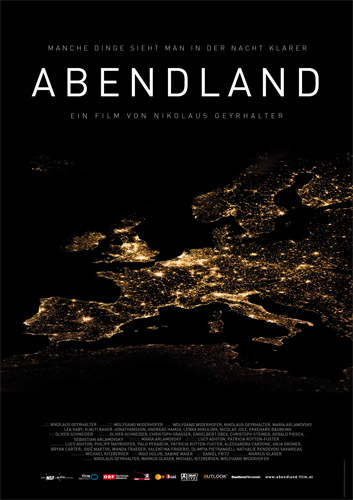 Abendland’ is an observation of Europe at night: Under the cover of darkness, people not only sleep, they also work and play, are born and die. Systems are maintained, many of them protected. A large number of night jobs involve surveillance and exclusion. What kind of Europe is this that we don’t let others participate in? Darkness can help us see things more clearly. 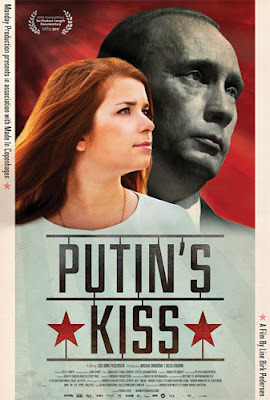 Putin’s Kiss is a rare insight into the core of Russian democracy “Putin-style”. We meet Masha, 19, who has become a spokesperson for Nashi, a political youth organisation working to support the current political system. Their agenda, however, is also to keep the political opposition from spreading their views among the Russians. When Masha is up for election, she starts questioning her role in the Nashi movement for the first time. As with director Jerry Rothwell Long distance running is a way of life in the Arsi region of Ethiopia. In a country long associated with poverty, famine and war, world-record-beating athletes are the source of pride. Many of the world’s greatest runners hail from Bekoji, a remote town in the southern Highlands. In the Beijing Olympics, runners from the Bekoji won all four gold medals in the long distance track events - more medals than most industrial countries. 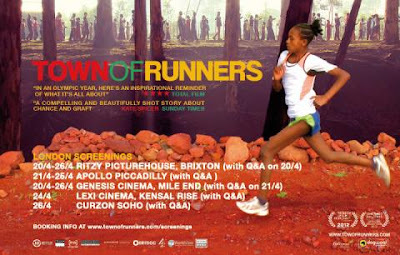 TOWN OF RUNNERS is a feature documentary by an award-winning director Jerry Rothwell (Donor Unknown, Heavy Load) about the young athletes born and raised in Bekoji, who hope to emulate their local heroes and compete on the world’s stage. Filmed over four years, the film follows their fortunes as they move from school track to national competition and from childhood to adulthood. When electric cars first appeared on the market in the 1990s, mass production and commercialization was abruptly—and dubiously—shut down, a story told in Chris Paine’s first documentary WHO KILLED THE ELECTRIC CAR? Just a few short years later, the race is back on to develop an affordable, stylish electric car and win over a skeptical public. 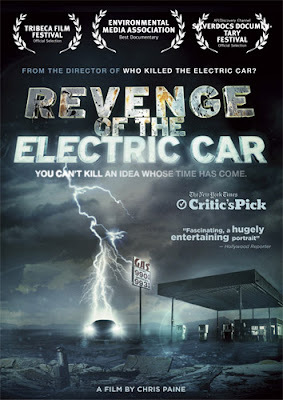 REVENGE OF THE ELECTRIC CAR goes behind the closed doors of Nissan, GM, the innovative California start-up Tesla Motors and an independent car converter names Greg “Gadget” Abbott to find the story of the global resurgence of electric cars. This new generation of automobile emerges as the future: fast, furious and cleaner than ever. 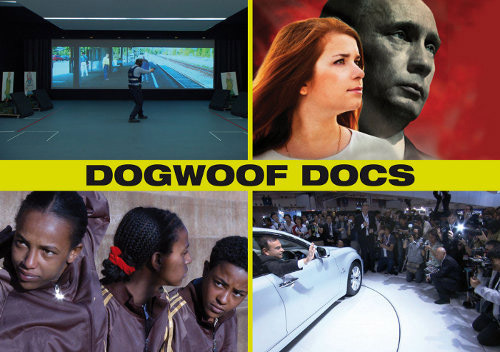 Dogwoof is the UK’s leading independent documentary film distributor. Founded in 2004, initial releases had a strong focus on social issues: Black Gold was widely credited with shifting Starbucks’ position on fairtrade; The Age of Stupid led to the 10:10 campaign; The End of the Line was largely responsible for Marks & Spencer and Pret a Manger changing their sustainable fishing policy. Recent Dogwoof releases include the 2011 Oscar®-nominated documentaries Gasland and Restrepo, which stands as iTunes’ highest selling documentary in the UK, and also Countdown to Zero which premiered in a 50-site simultaneous satellite feed. UK documentary Dreams of a Life premiered at the London Film Festival and was followed by a series of director and cast screenings across London, resulting in an unprecedented 11 week run in Odeon cinemas in London’s West End. 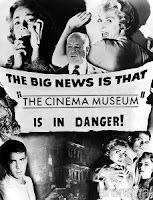 Also in 2012, Dogwoof launched two new initiatives: http://popupcinema.net/ which seeks to empower local entrepreneurs to screen Dogwoof films locally and in non-traditional venues, and http://dogwoofsales.com/ , a consultancy agent-based service designed to help documentary filmmakers promote and sell their films globally through their network of fellow distributors and broadcasters.